Comments : VAT not included, visible in USA East Coast. OVERVIEW Despite being built late 2008, the yacht was not delivered until February 2009, it was then only used as a private yacht for a family of 4 for 4 years. 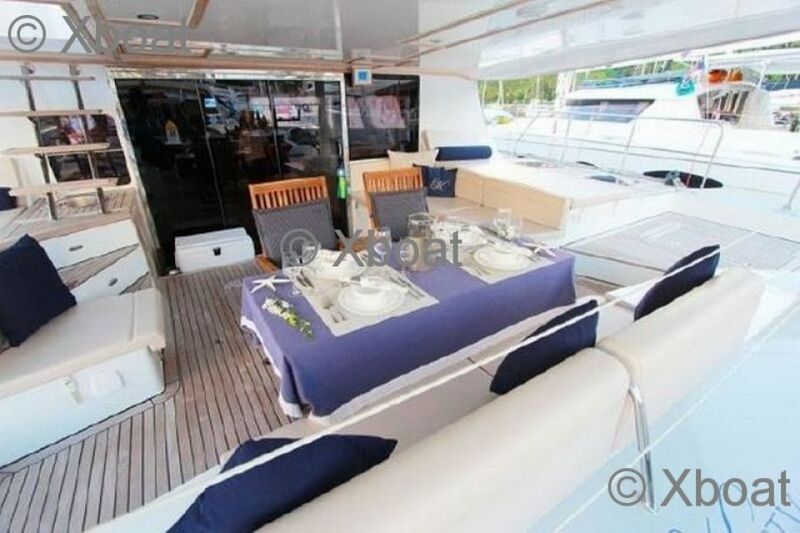 Only 2 owners since new, thus the yacht is superbly maintained and cared for. 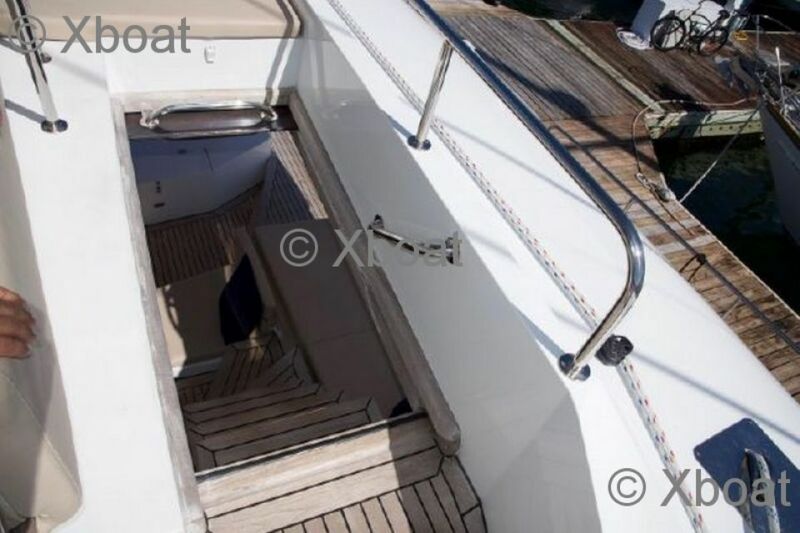 This boat is one of only a few Catamarans with a full Teak Deck which was sanded and re ?caulked in 2017. 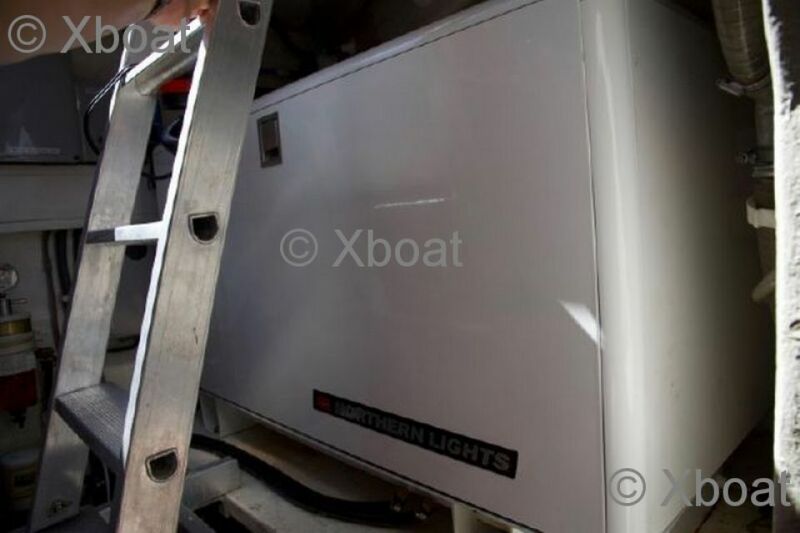 Northern Lights main 16kw generator installed 2017, second 12kw generator installed October 2014. 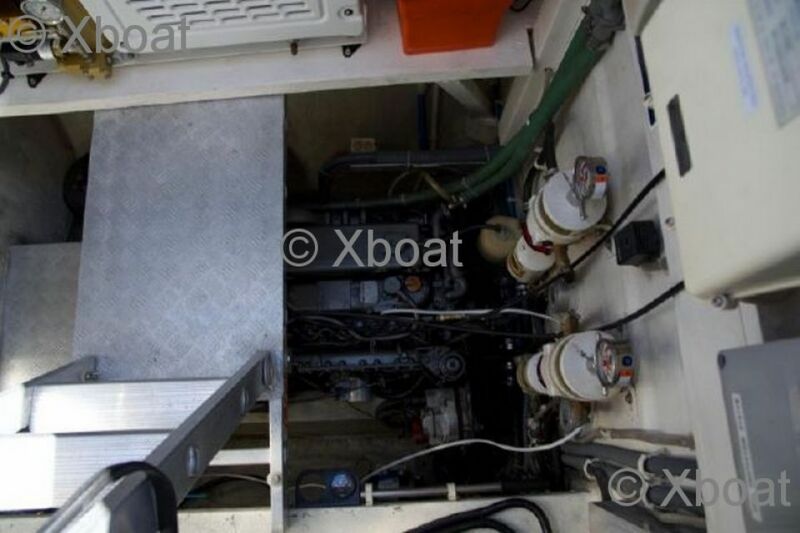 Upgraded Air Marine 3 chiller air con system installed July 2013 Air con system circulation pumps replaced 2015 Sea Recovery HP pump replaced 2015 New 15ft AB tender with 70hp Yamaha purchased July 2016 ? 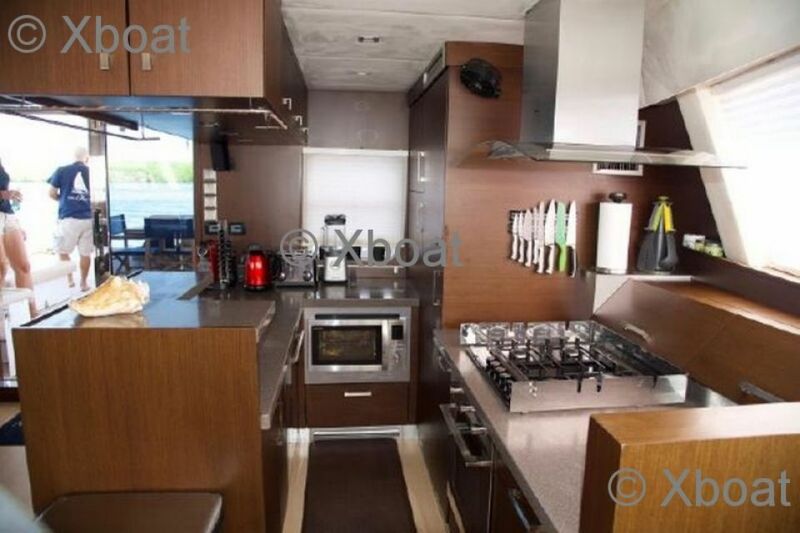 Added additional Fridge and Freezers and drink fridge Vessel is equipped with isolation transformer allowing shower power in USA Spares of all essential pumps, switches etc Professional crew since purchase from factory ? Detailed maintenance logs including computerised inventory Engine Hours at 09/02/18 3502hrs Main Generator 1007hrs 2ndGenerator 7614hrs ? 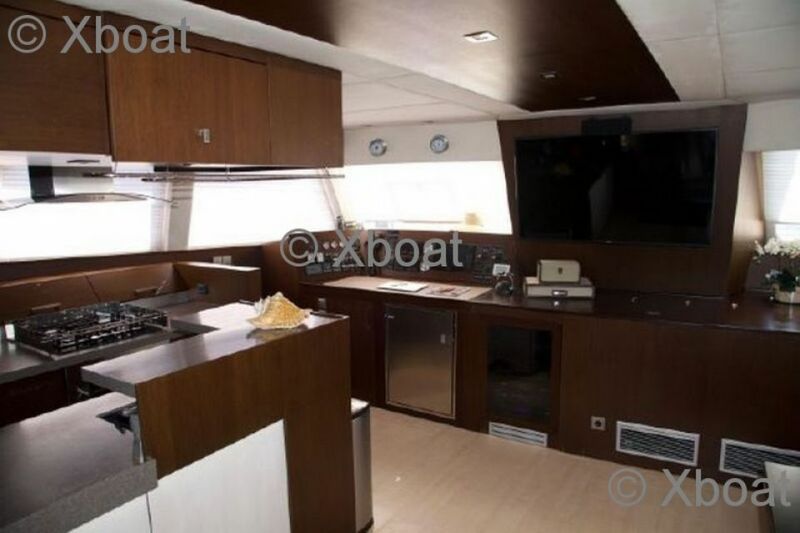 Interior Crew cabin gutted and renovated into a real usable space. 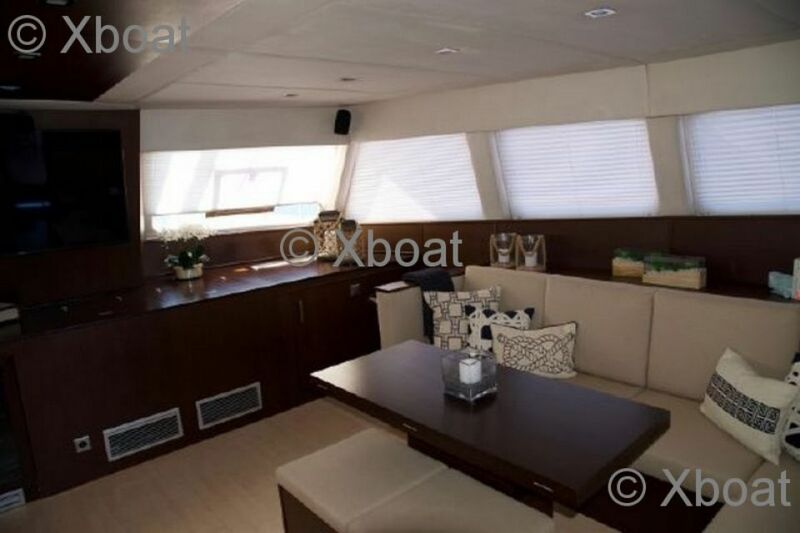 Modern Wenge interior woodwork in exceptional condition having been refinished, ?varnished, and refitted in 2017. 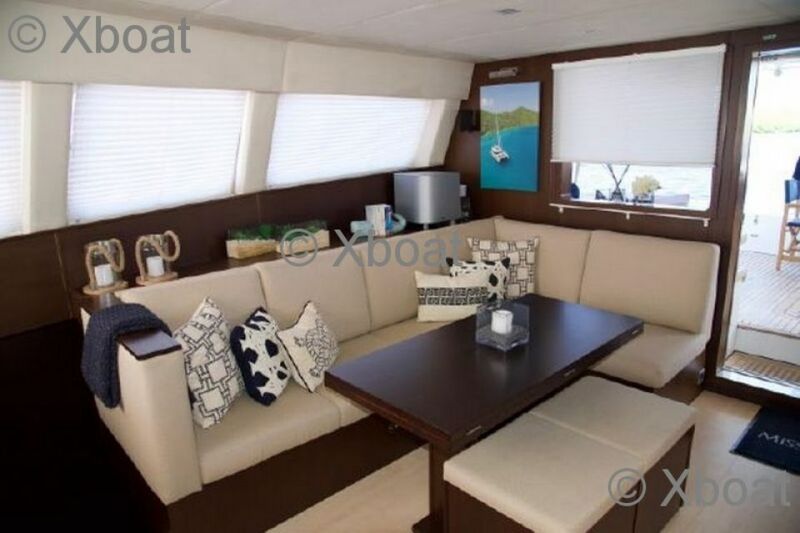 New Salon Sofa, upholstery, cushions and woodwork (2017). New Salon High Low Extendable Table (2017) ?Exterior ? Aluminium Crossbeams resprayed. Coach roof, and cockpit areas resprayed 2017. One of only a few with a full teak deck (sanded and re caulked 2016). Full sand, fair, prime and repaint (roll and tip) 2016. Paintwork in immaculate condition. ?Additional Details? 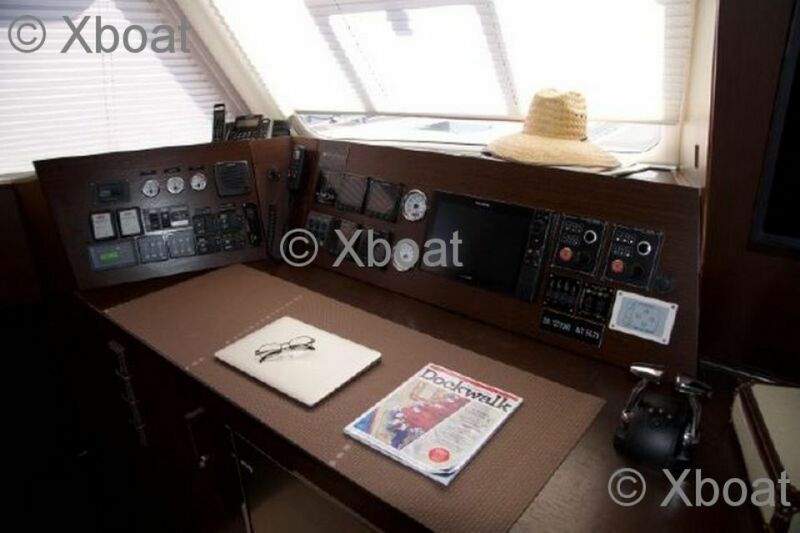 Full navigation and AV refit in 2017 has the latest TV?€?s DVD players and equipped for satellite ?TV in all regions. ? 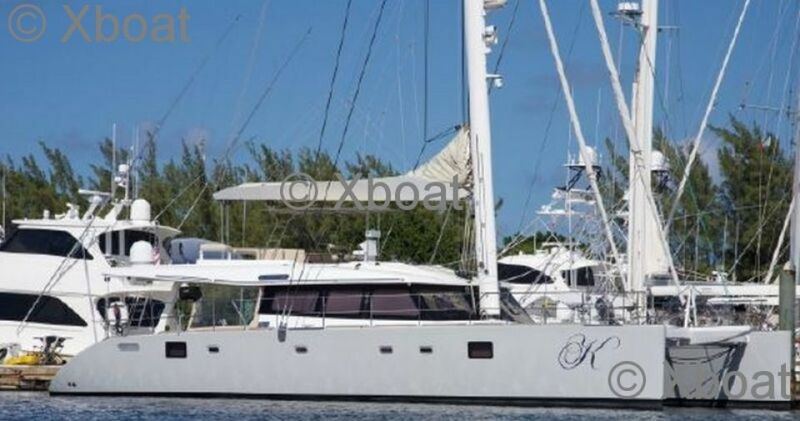 Yacht has been in private use since 2016, prior to that had the same owner and crew from ?new. 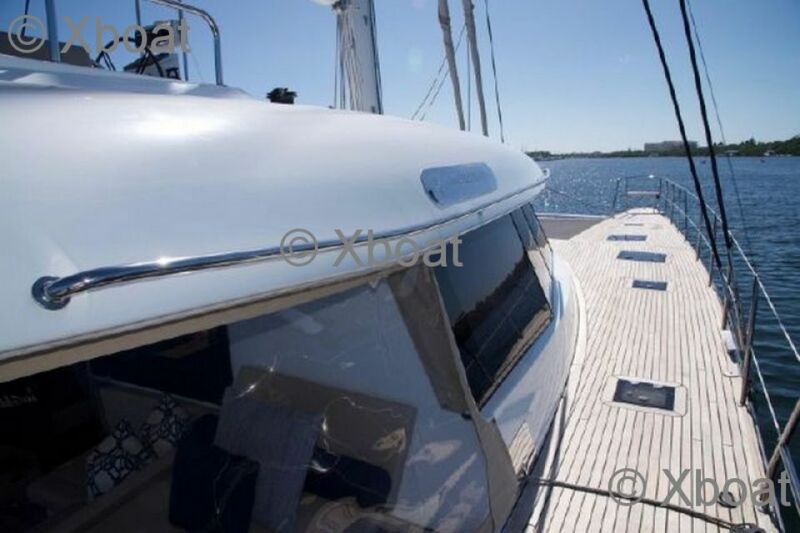 Yacht had an excellent charter business in the Caribbean with 20+ charters per year. 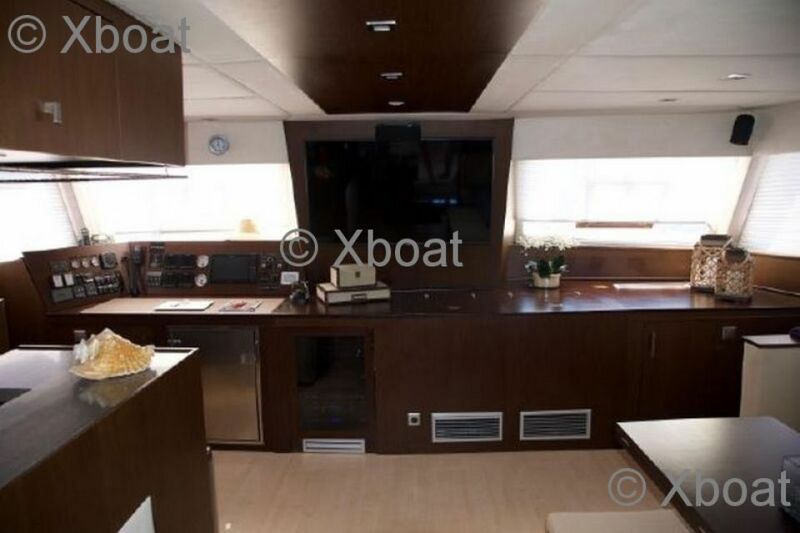 Yacht has had a full refit in the last 12 months with no expense spared, maintained to a very ?high standard, always waxed, polished, and ready for viewing. 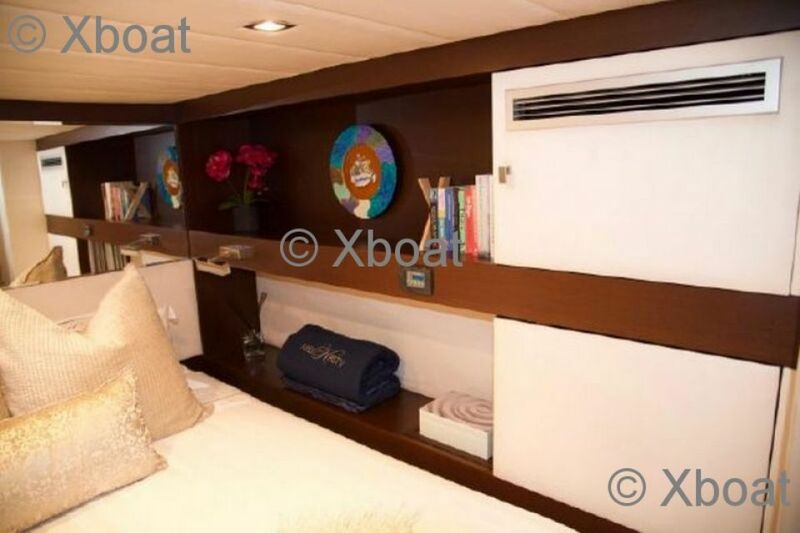 ACCOMODATION : This Sunreff 62 features the popular charter layout with galley up and 4 x double berth guest cabins, each with its own private dry head & shower. 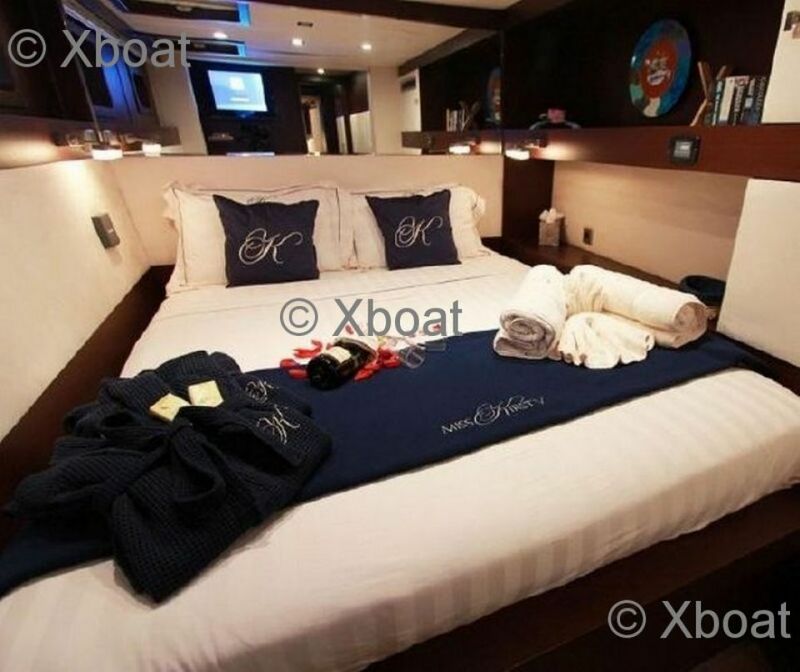 A separate double crew cabin (Forward to Starboard) is located outside of the main salon, also with a private head and shower (Forward to Port) This layout makes the yacht ideal for either owner or charter use. 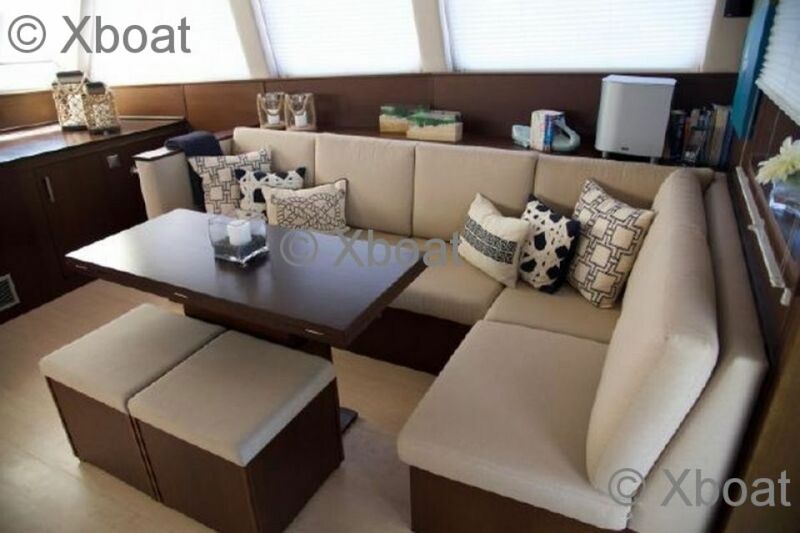 A very large cockpit lies on the aft deck with 2 large sofas in a seating are, as well as a full dining table capable of seating 10. 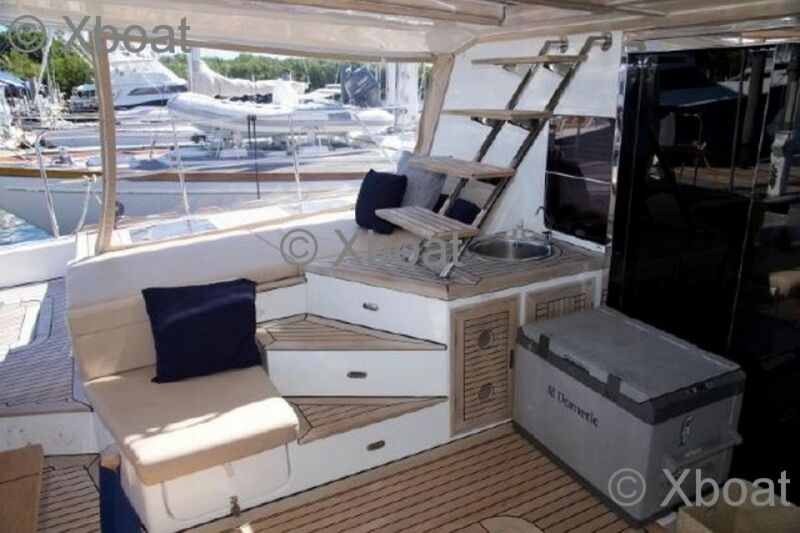 The cockpit is covered with a fiberglass Fly Bridge overhead, with two sets of teak steps down to the transom to steps into the ocean. 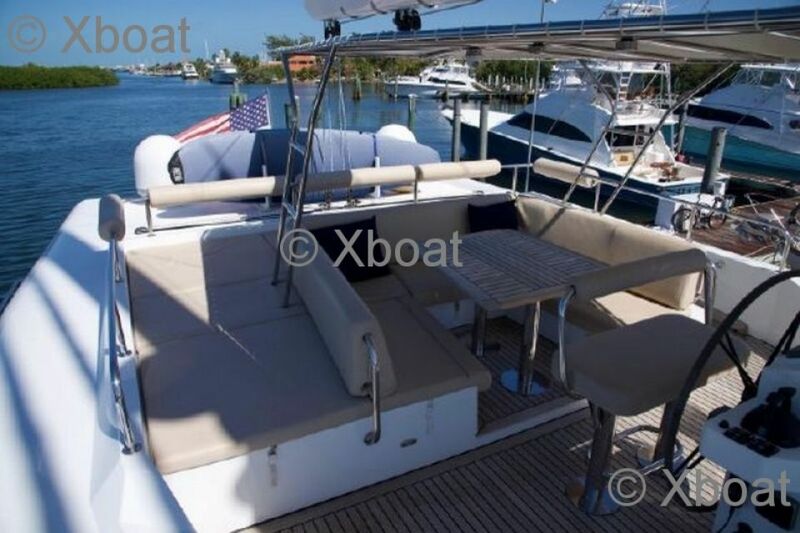 The fly bridge includes the helm and seating areas, as well as extensive sun pads for lounging. 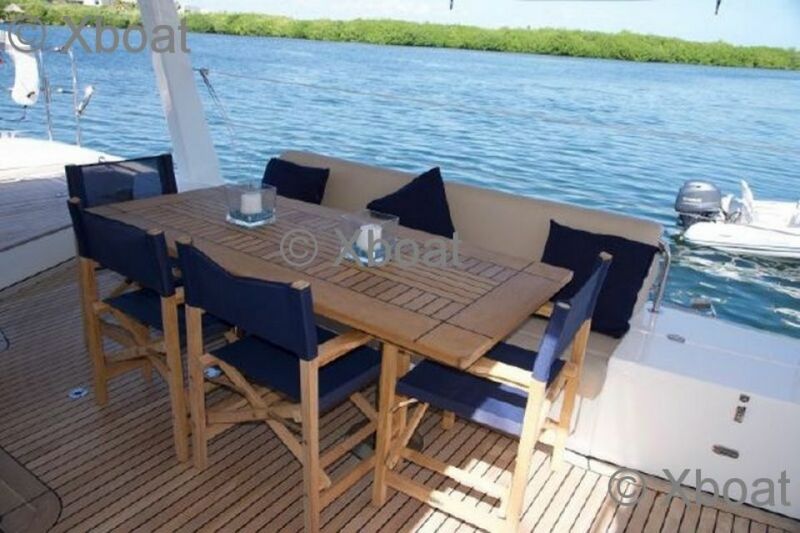 This boat is also one of only a few 62’ Sunreefs with a full teak deck. GALLEY: Sea Recovery 60 GPH, 220-volt water maker (new membranes 2017) Echotech 40GPH 24c DC water maker. 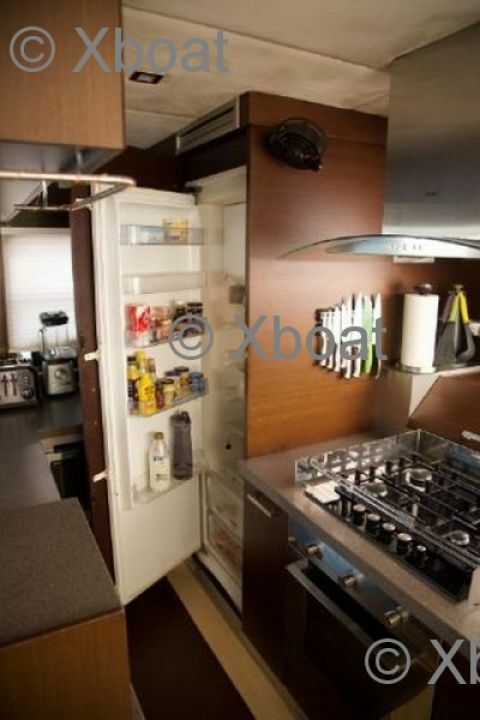 Whirlpool 220v front opening refrigerator. Custom Chest Fridge. Custom Chest Freezer. Isotherm 12/24v front opening fridge freezer. U line Icemaker (new 2017). 4- burner stove (new 2017). Gourmet stainless steel oven (new 2017). Whirlpool Dishwasher (new 2017). Microwave convection oven (new 2017). Nespresso Coffee maker 220v. Commercial Toaster. Blender. 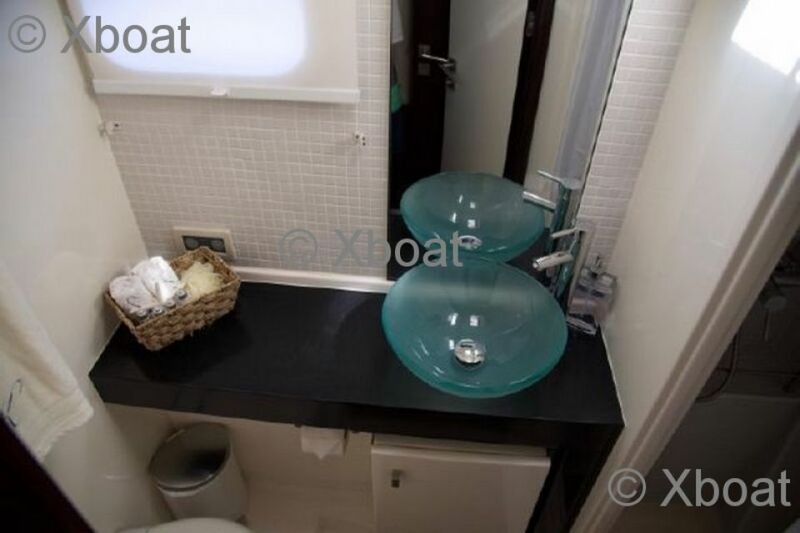 Two Stainless steel sinks. Pressurised hot & cold freshwater system. Hood with exhaust fan. 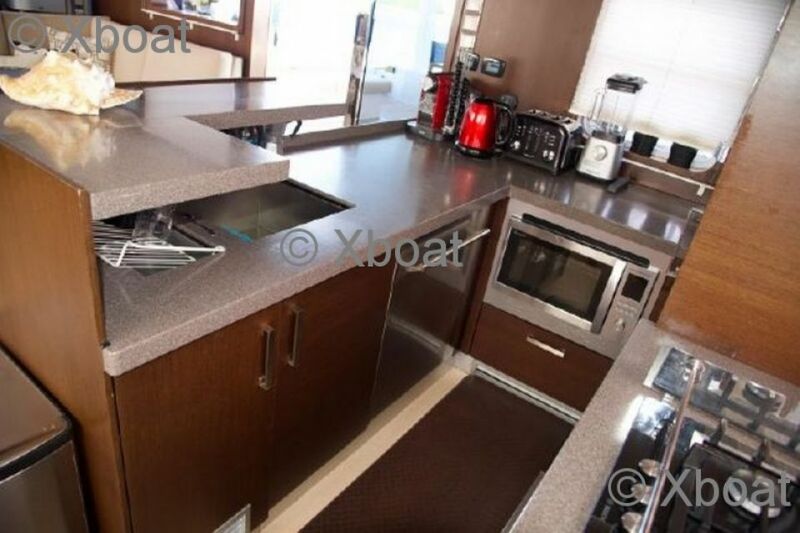 Large Corian work surfaces. Full 600 thread count embroidered Egyptian cotton Linens for 8 guests. Crew Linens/Delivery Linens ? COCKPIT BAR: Chilled Filtered water drinking tap (new 2016). Outside sink with pressurised hot & cold freshwater system for meal. Clean-up & outside ?work (cockpit mounted). Dometic chest drinks fridge/freezer 110v/220v, 12vDC/24vDC ? ELECTRONICS & NAVIGATION (all brand new 2017) :? Autohelm autopilot. FLIR HD night vision and thermal camera on mast. 24-mile HD colour radar with interior & exterior screens . Colour HD Fish finder. 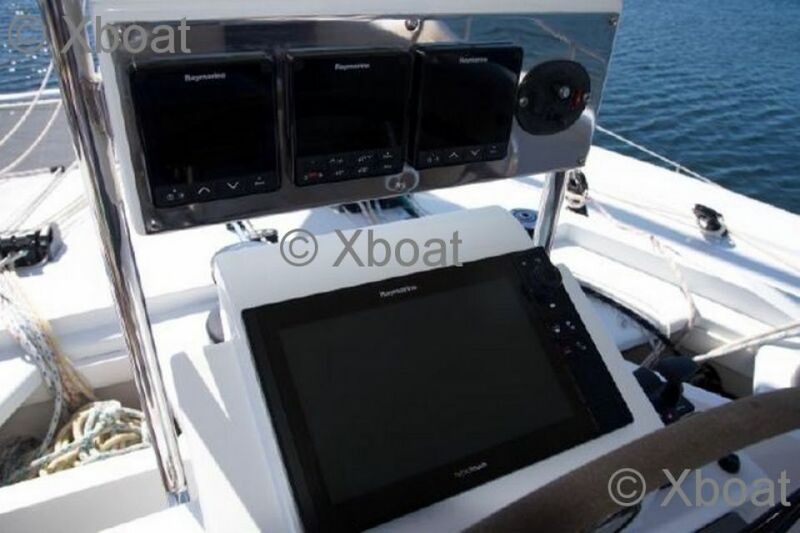 3 x Raymarine ES 128 Chartplotters. 8 x HD night vision cameras. 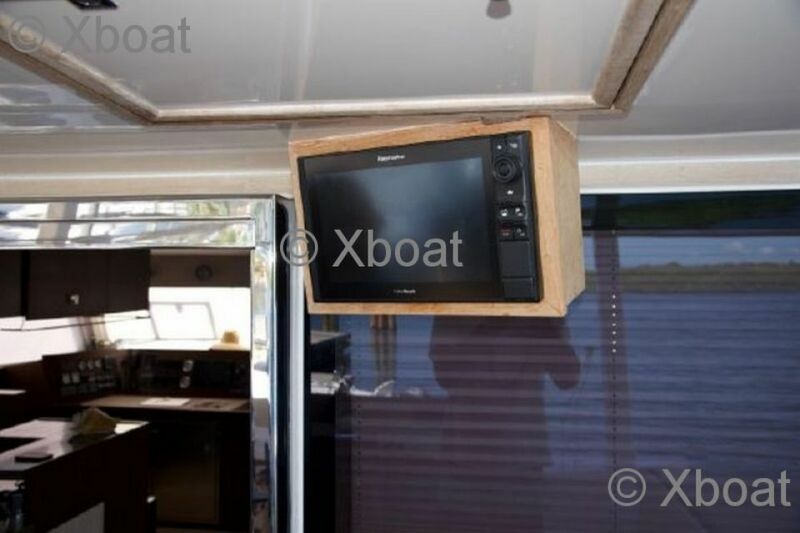 2 x fixed VHF & three handhelds. Electronic charts for Caribbean, USA and Mexico. KVH HD7 Dome with Direct TV USA, Direct TV Latin America. Dish in all cabins. KVH V7 IP Satellite Broadband linked to onboard router. 5 x Samsung HD Flat Screen TV?€?s. 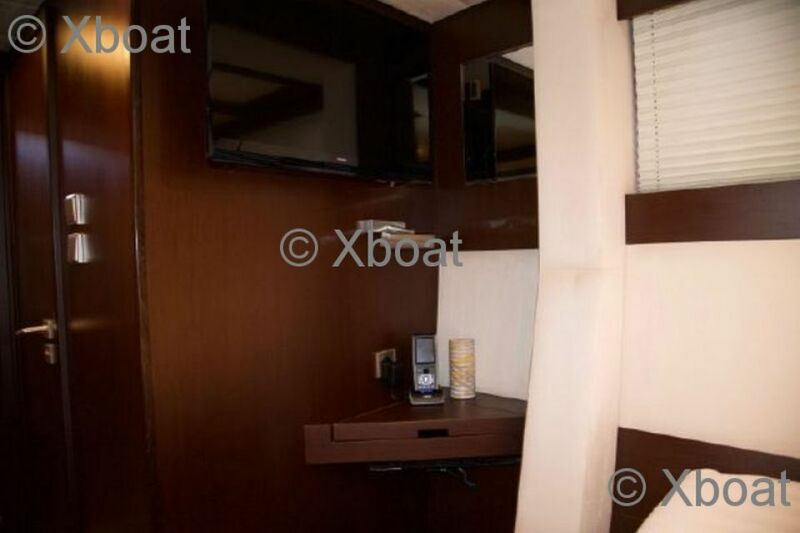 Apple TV in each cabin. Full Fusion Stereo system outside with JBL speakers and subs giving. Perfect sound at 110db. 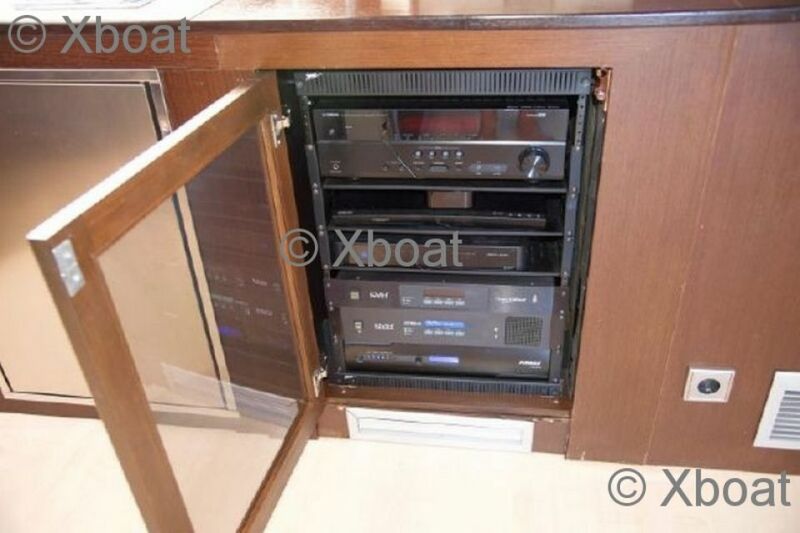 Stereo speaker?€?s cockpit, bow, stern, flybridge. Full Surround sound in salon, with RTI remotes controlling all devices in cabins. ?DECK EQUIPMENT :? 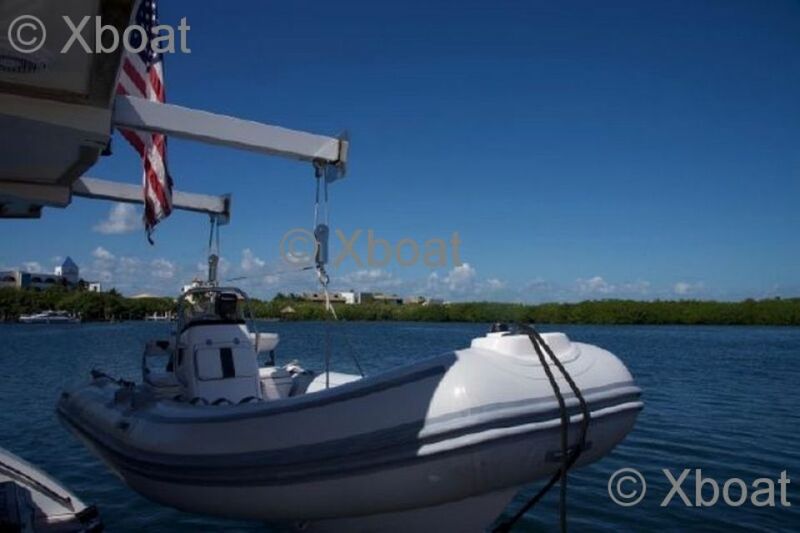 15ft AB Rib with Yamaha 70hp engine (new 2016) 6 x Underwater. Lights. Hydraulic retractable Opacmare Pasarelle. Telescopic davit dingy lift system (overhauled 2017). Teak walkway between Trampolines (sanded 2016). 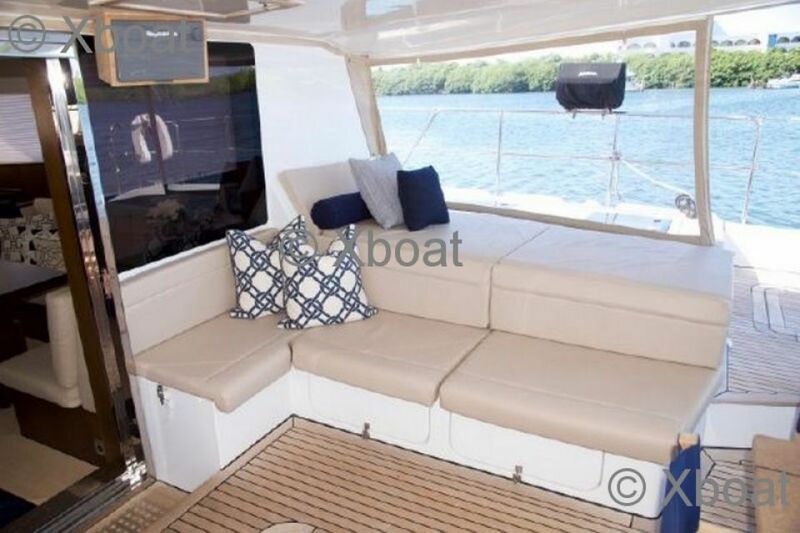 Full cockpit & flybridge cushions (new 2017). 2 x Forward trampoline cushions. 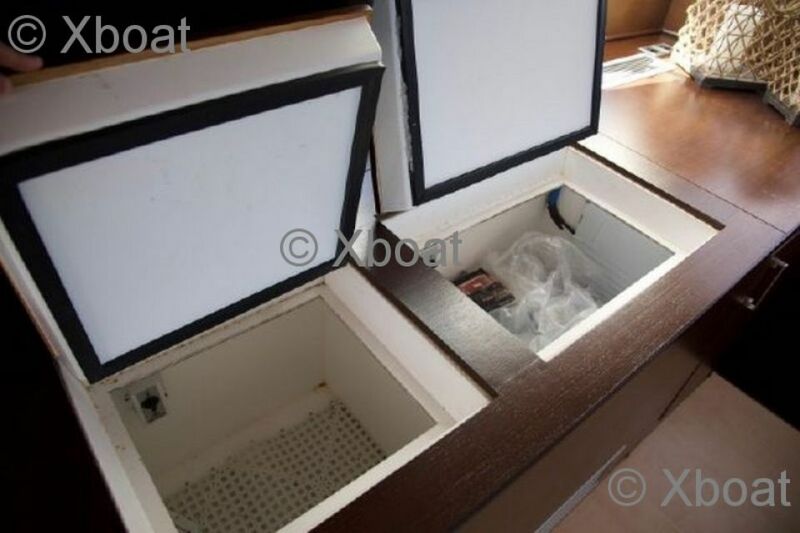 2 x Dive lockers to accommodate 6 SCUBA tanks. 1 x Brownies YP 40 Dive Compressor with remote fill, and intake. Ground tackle (new 2017). Quick electronic anchor windless. 110lb CQR primary anchor with 400?€? galvanised chain (new 2016). 50Ib Fortress secondary anchor with warp & chain ?WATER TOYS. 10 sets of snorkel gear (masks/fins/snorkels). JOBE Wakeboard. Water Skis, 2 x ski rope & 8 ski jackets. 2 x inflatable tubes. 1 x large inflatable mattress with bar. ? 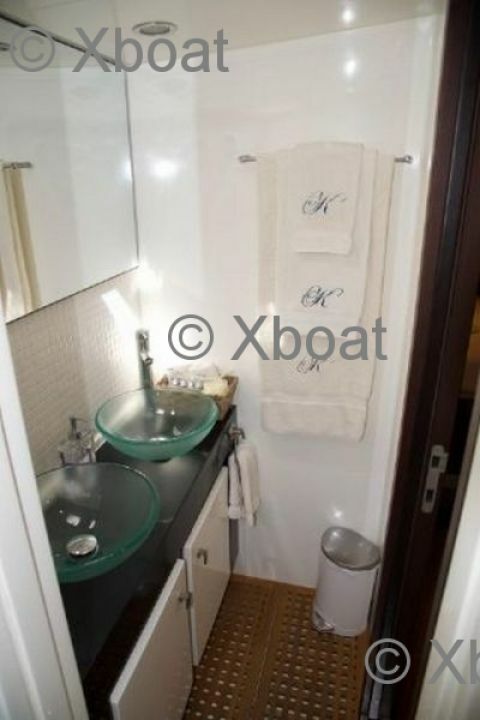 ADDITIONAL EQUIPMENT: Whirlpool Combi Washing Machine/Dryer. Grade 316 stainless steel bow pulpits with integrated seats. Grade 316 stainless steel stern pulpits. Grade 316 stainless steel brackets for 2 x life ring buoys with two-man. Overboard lights. Grade 316 stainless steel coach roof grab rails. Grade 316 stainless steel stanchions and stanchion bases. Double lifelines with gates. 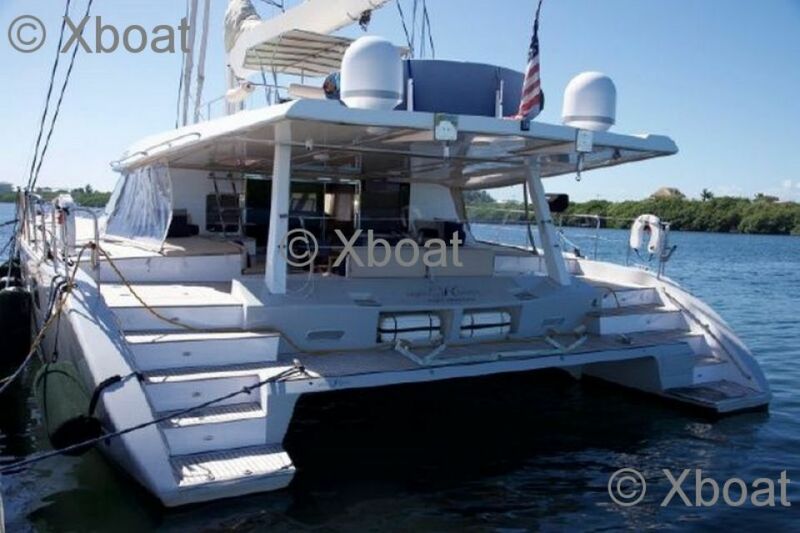 16 Goiot deck hatches (new 2016). 8 Lewmar portholes. 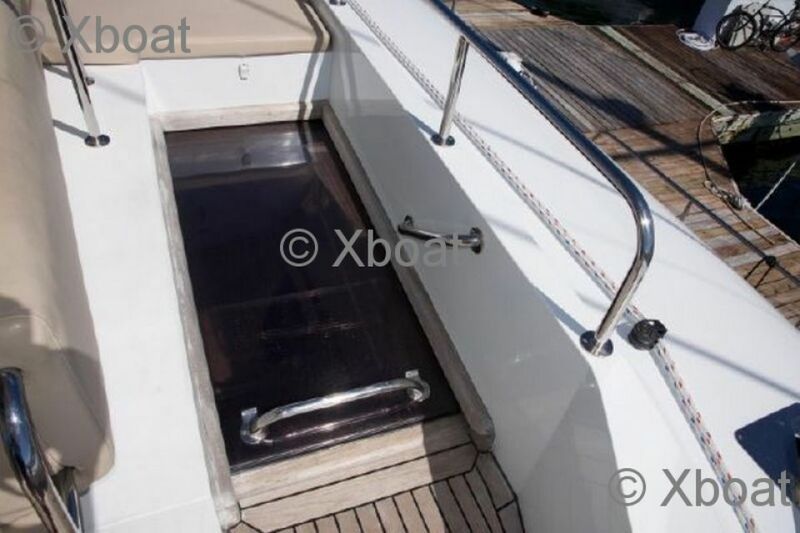 Two pressurised hot/cold aft deck showers. 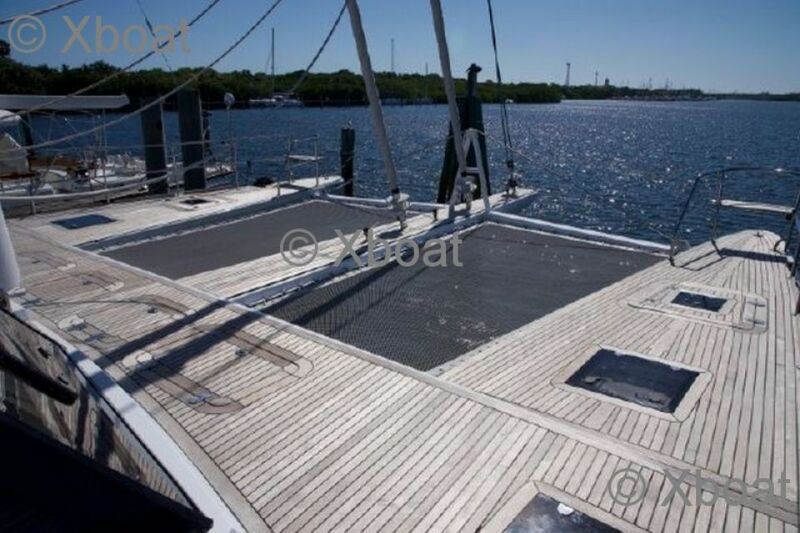 Deck wash down system with faucets in the engine room and anchor. Locker. Swim ladder aft. 9 x storage lockers with Fiberglass lids. 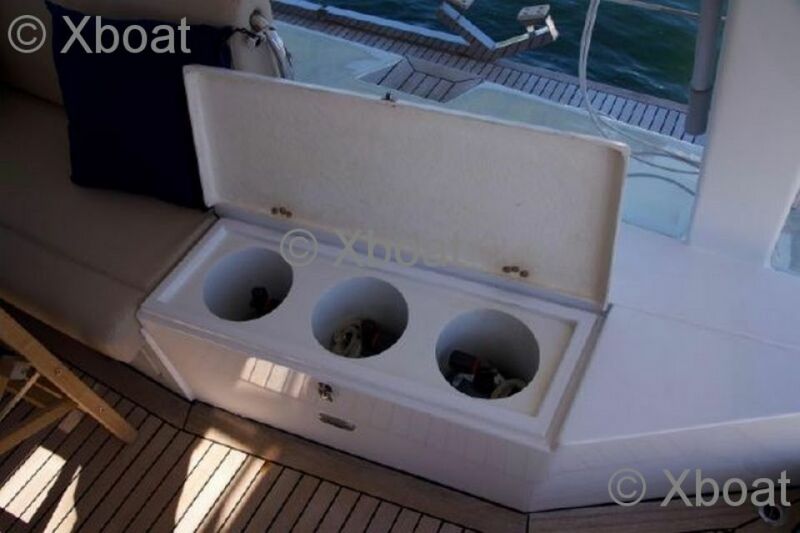 4 x storage lockers with hatches (cockpit). 5 x cockpit lights. 1 x deck light. Full navigational lights ?€? masthead & lowers. 8 x aluminium mooring cleats. 8 x swim floats. Comprehensive safety equipment including flares, life jackets, 1st Aid. Kit & Buoys ? ELECTRICAL SYSTEM : 1 x 17KW Kohler generator. 1 x 10KW Northern Lights Generator. 2 x 5000-watt MasterVolt 24- volt inverter. 2 x 24-volt, MasterVolt 75A battery chargers for house batteries. 2 x 55A Alternators. 2 x 130A Mastervolt alternators w/Smart Multi stage regulators. 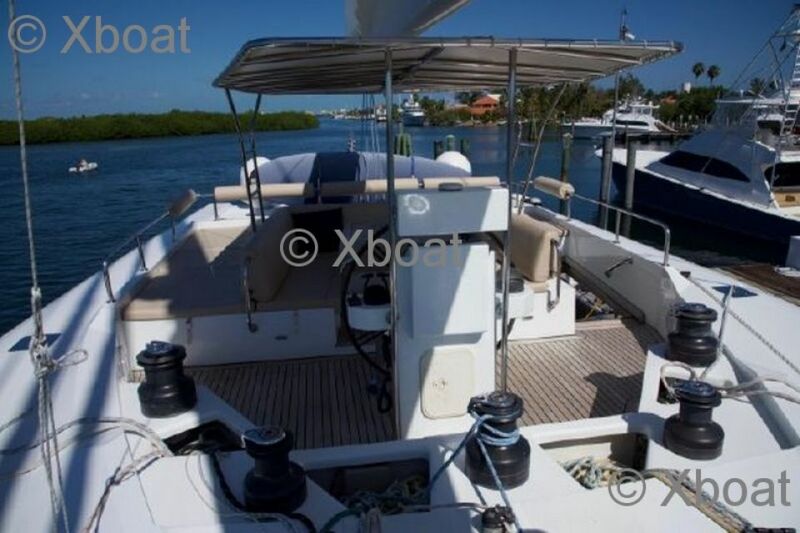 Double belts ?Batteries: ?2 x 110 AH, 12 Volt, engine start? 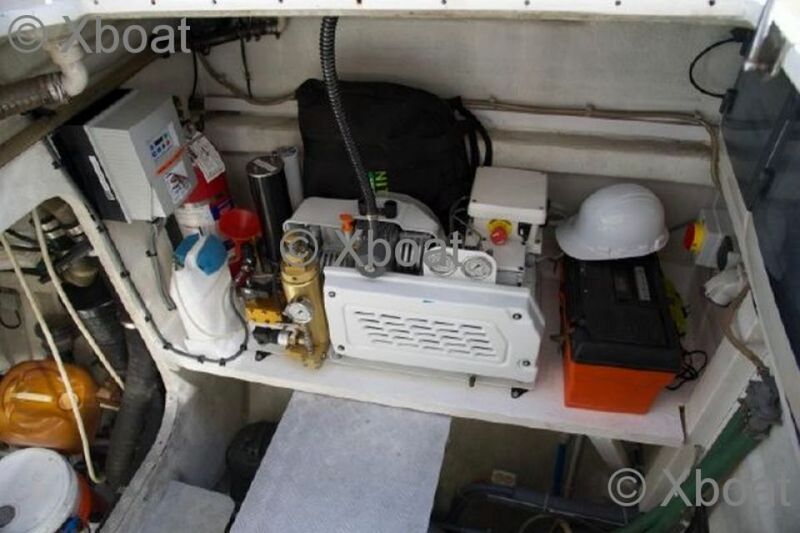 8 x 225 AH 24 Volt AGM,house (all new Oct 2015)?, 4 x Thruster batteries. Battery isolator switches?.Circuit breaker panel?. 220-Volt Interior Outlets?. 2 x 50A Shore Power Cable Socket & Cable?. Separate Shore power for Air Conditioning and House, or they can be linked to run from one socket. RIGGING Equipped for cruising with a Carbon Fibre 7/8 fractional, deck-stepper spar (2017 respray) Carbon fibre park avenue style boom (2017 respray)?Painted aluminium main cross bean (2017 Respray)?Facnor LS290 roller furling gear on Solent Facnor LS330 roller furling gear on Genoa Harken Batt Car system for mainsail ? Mast and Boom removed, and repainted in 2017 ? New Standing and running rigging 2017 ?Sails: ? 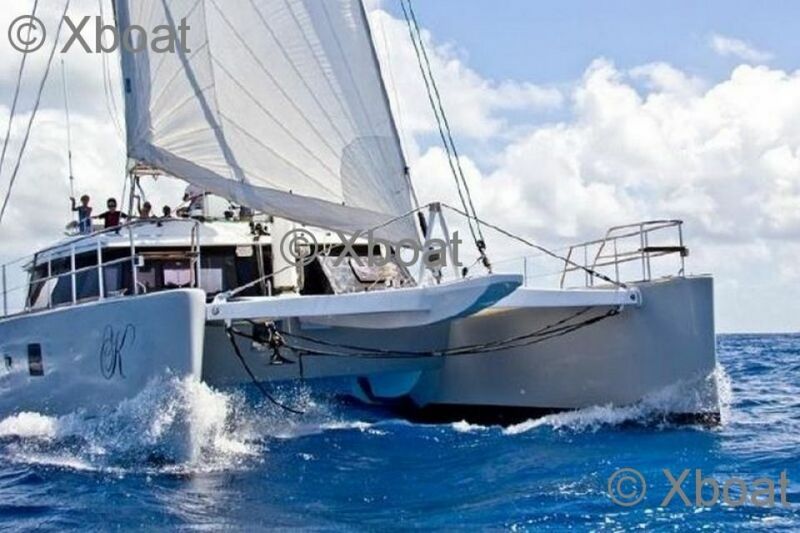 Incidences fully battened mainsail w/3 x reef points, High Aspect Cross Cut ?€? Hydra Net ? 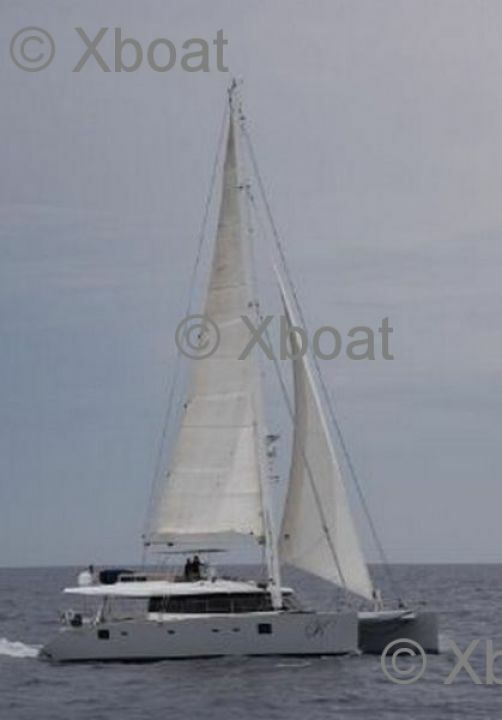 Incidences Hydra-Net Genoa & Solent ? 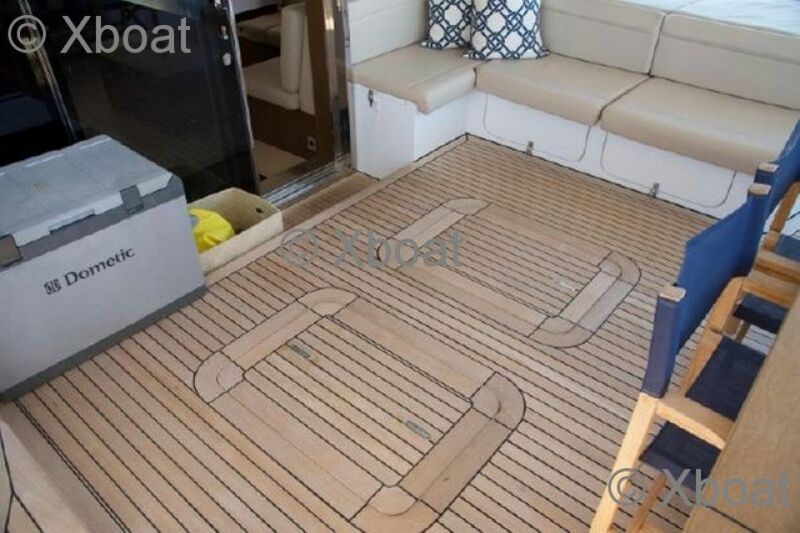 Park Avenue Mainsail storage system with lazy jacks ? Code Zero with all running riggings & new storage system (2017) ? Storm Jib ?Winches: ? 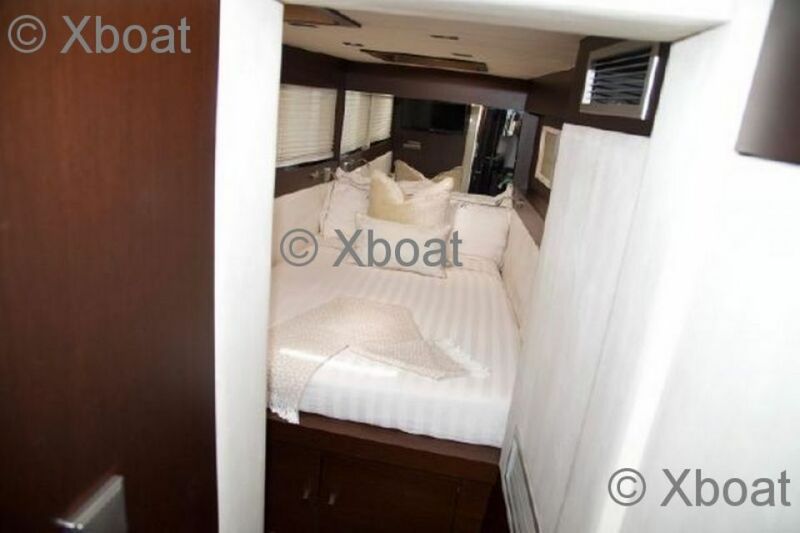 2 x Harken 980 Electric primaries on Flybridge ? 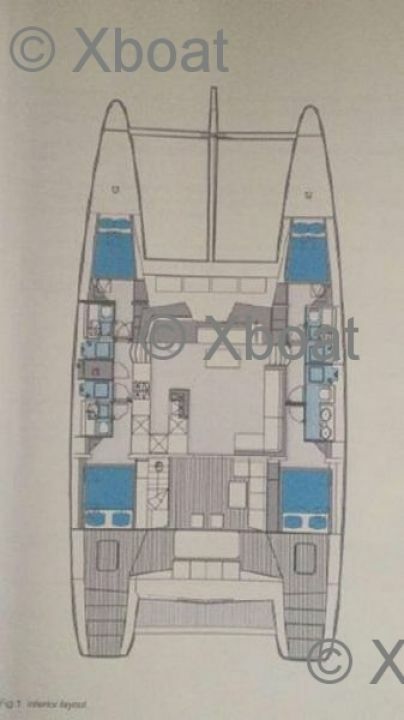 2 x Harken 70 Electric secondaries on Flybridge ? 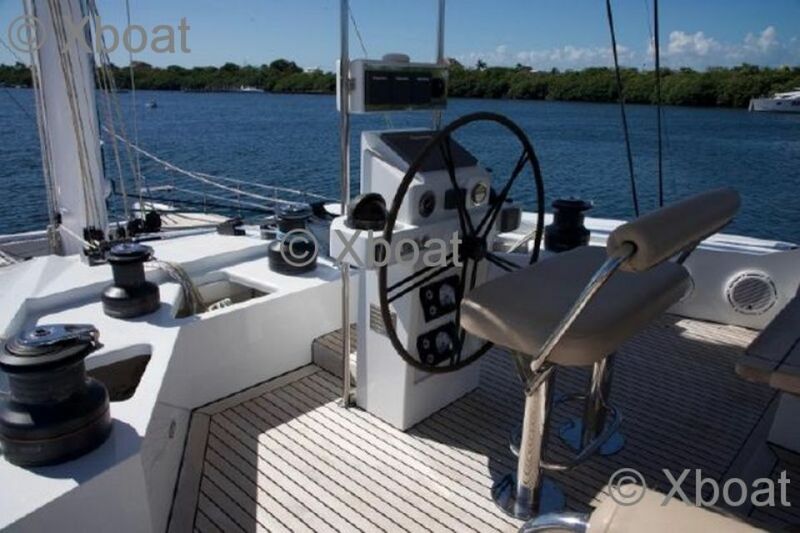 1 x Harken 60 on Flybridge ? 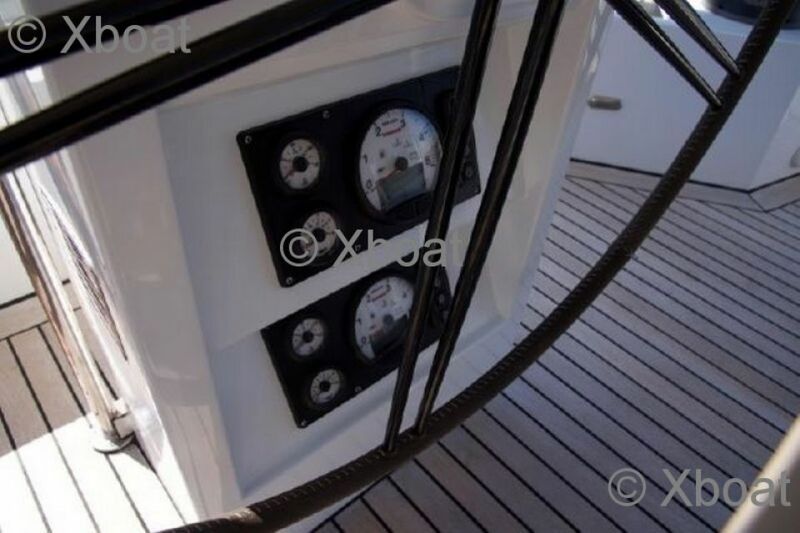 4 x electric winches ? 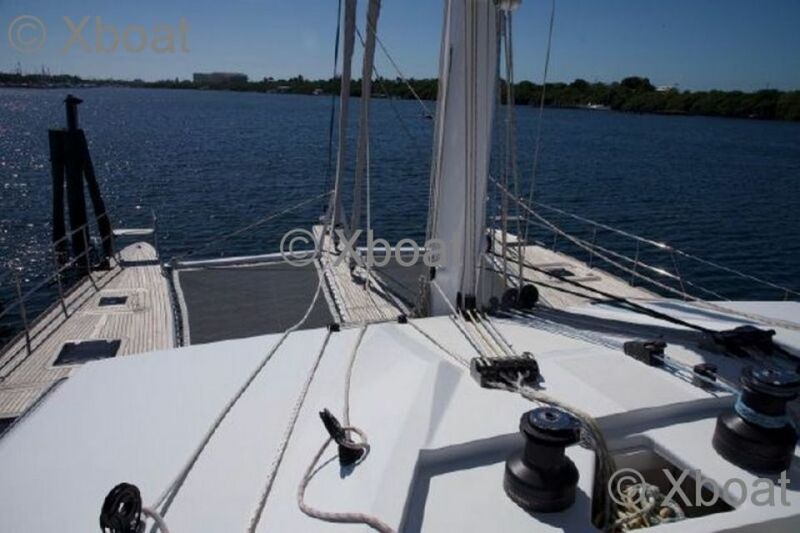 Double purchase mainsail halyard ? 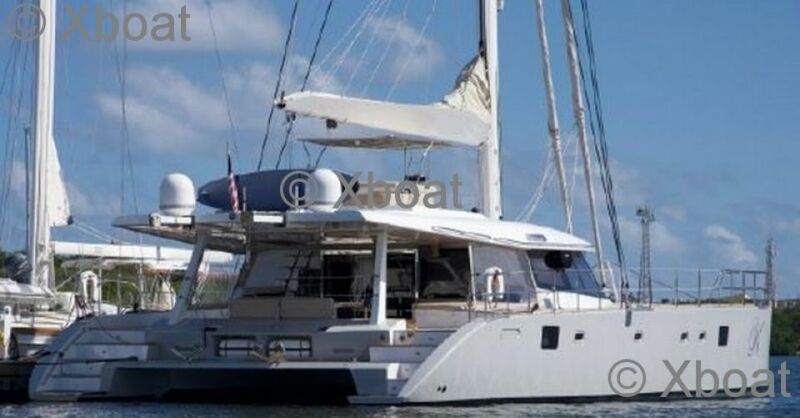 6 x Reefing Lines ? Harken Black Magic Blocks ? Harken main traveller & cars ? Lewmar Line Jammers ?MECHANICAL EQUIPMENT ? 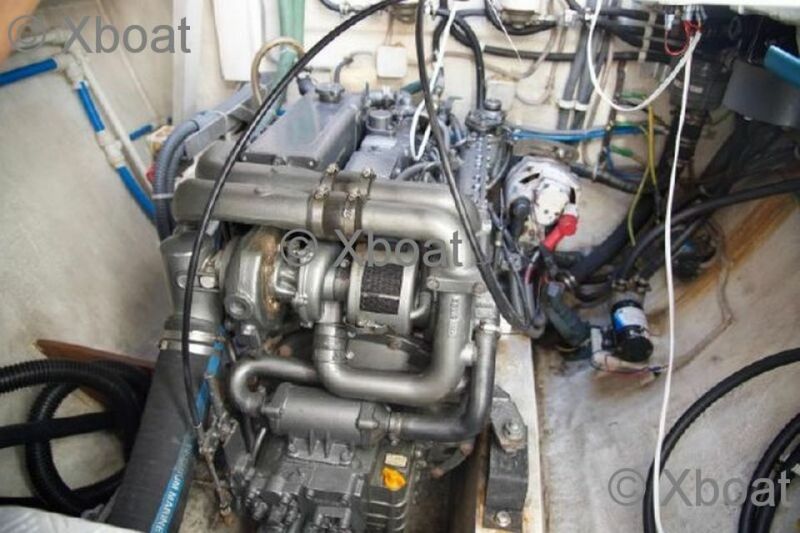 Twin 125 HP 4JH3-DTE Yanmar Turbo diesel engines with sound Insulation and engine room lights (completely overhauled, including new exhaust elbows, injectors, fresh and salt water pumps, heat Exchangers, engine mounts, engine start panels etc.) ? 3 x compressor chiller air conditioning systems (2014) ? All toilets electric fresh water flush with holding tanks ? 2 x instrument panels with engine hour meters ? 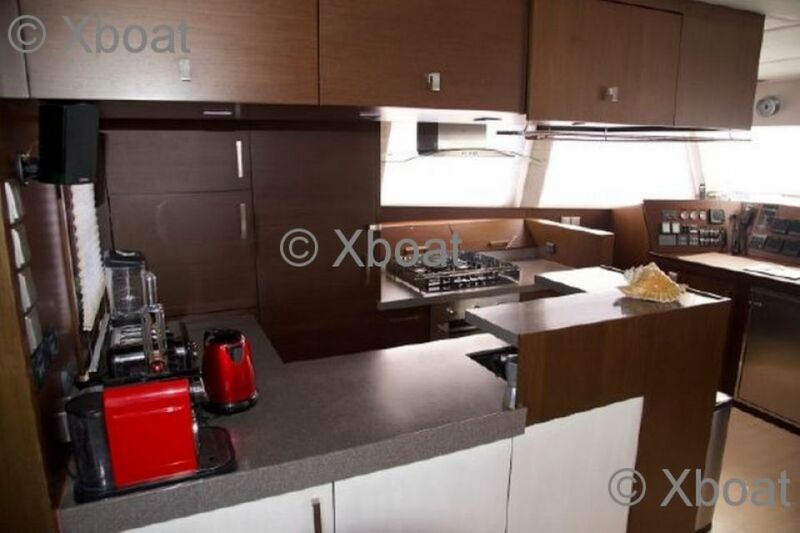 12/220-volt outlets in engine rooms ? 3-blade Flexofold folding props (new rubber stops, and serviced 2017) ? 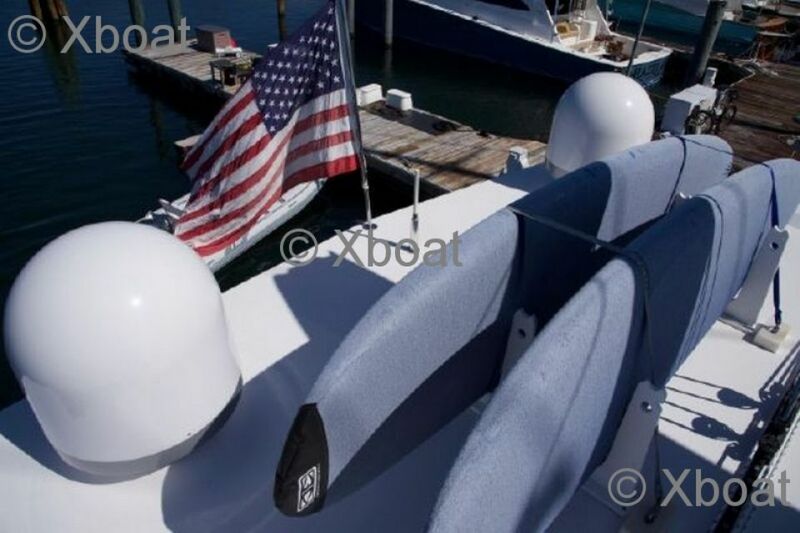 2 x Max Power Bow Thrusters (new lower legs 2017) ? 3 x Fuel Transfer Pumps ? Numerous Engine spares & full set of tools ? Large Carbon Steering Wheel ? 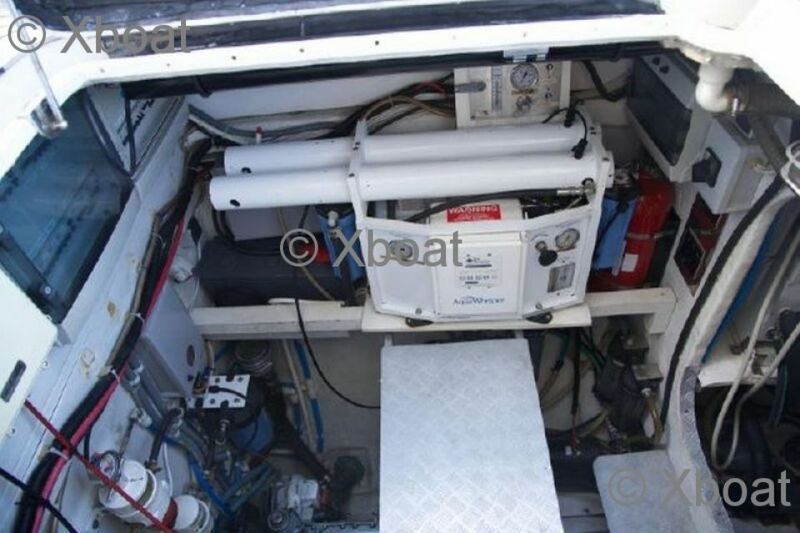 4 x automatic electric bilge pumps with alarms ? 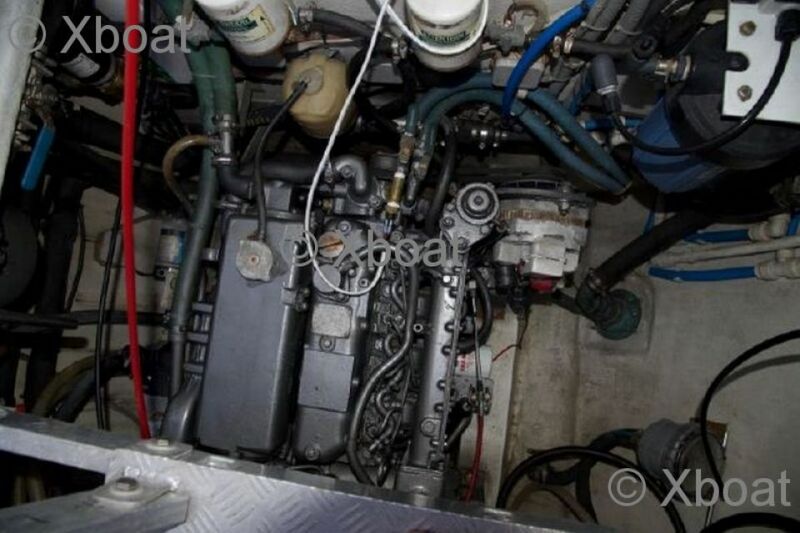 2 x manual bilge pumps ? 2 x 40lt Quick Hot Water System (new 2017) ?